Dr. Sylvia Manzano is a Principal at Asian American Decisions. She holds a Ph.D. in Political Science from the University of Arizona. Manzano works with clients on strategic planning, survey design, data analysis, demographic research and focus group facilitation. Her most recent work includes design and analysis of the Latino National Election Eve Poll, national studies on Latino stereotypes and ethnic attitudes, and a series of projects that develop strategies to engage Latino voters and promote civic engagement. Manzano’s academic research on Latino politics and policy issues has appeared in many academic outlets including Political Research Quarterly, State Politics and Policy Quarterly, Politics and Gender, and Urban Affairs Review. She has been interviewed by numerous media outlets including NBC Latino, The New York Times, La Opinion, Fox News Latino, The Los Angeles Times and National Public Radio. 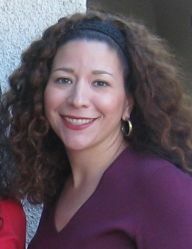 Prior to joining Latino Decisions, Manzano taught at Texas A&M University.